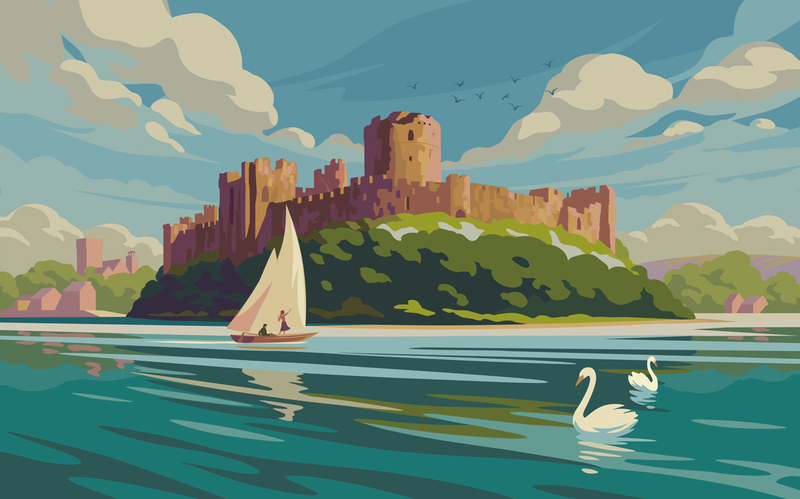 Gary Redford produced this stunning artwork for Pembroke Castle. Inspired by poster art of the early 20th Century, Gary’s contemporary style perfectly captured the castle in all it’s glory. Gary’s artwork is being used across the historic landmarks merchandise and marketing materials. To see more of Gary’s work, click here. Gary Redford is represented by Meiklejohn. Published on 1 September 2016.